Frog and Toad Friendship Fun! | Mrs. Anton's Class! 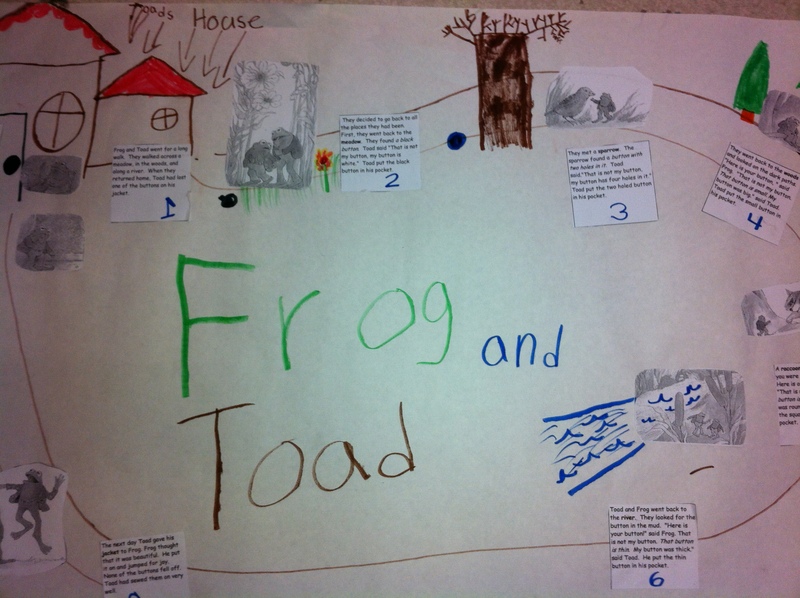 Frog and Toad Friendship Fun! 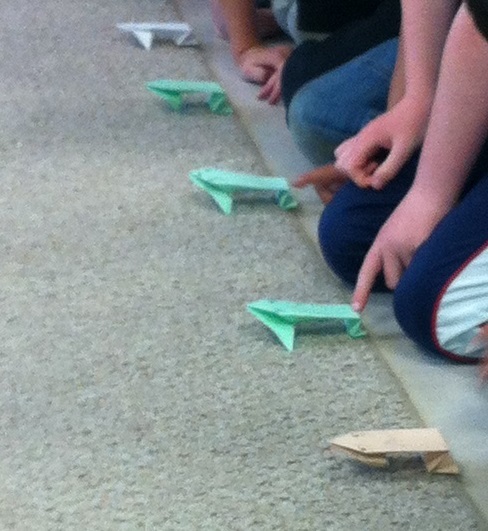 We had a Frog and Toad day last week! 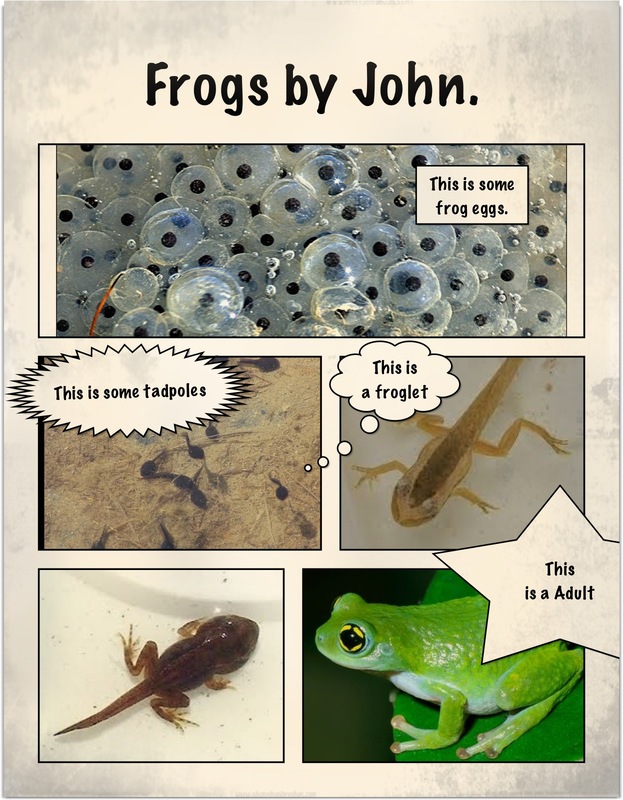 I love the Frog and Toad stories for many reasons! I love the stories, the theme behind the stories, the exploration of characters, and the fact that they are written for children to read and they are well written! 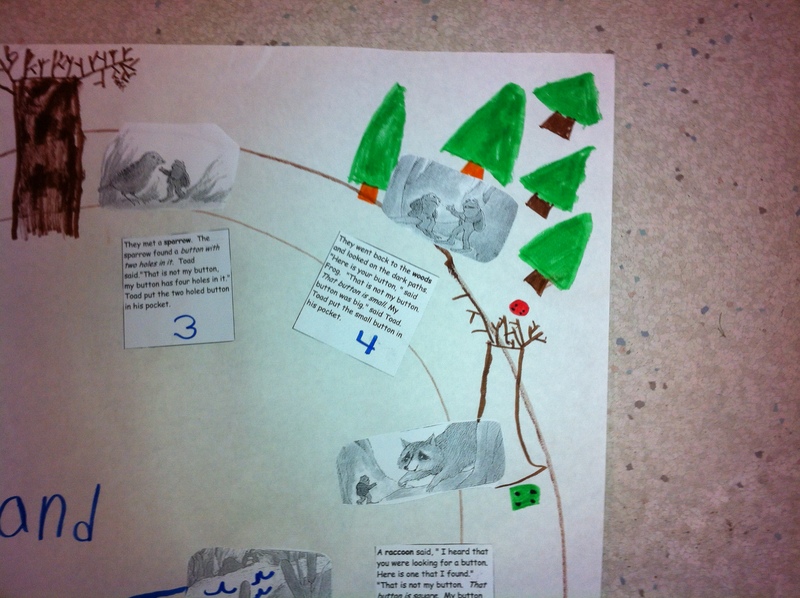 The basic theme of the stories is about friendship. They also deal with characteristics of people. Frog is an optimist who generally looks for the positive and Toad is, well, a bit grumpy… Frog always wins him over and Toad is a grateful friend. We just read one of the books in the series called Frog and Toad are Friends. There are several stories in this book. We had a hard time choosing our favourite. We either liked them all or we liked the story The Lost Button or The Letter. All of them are great examples of being a friend. 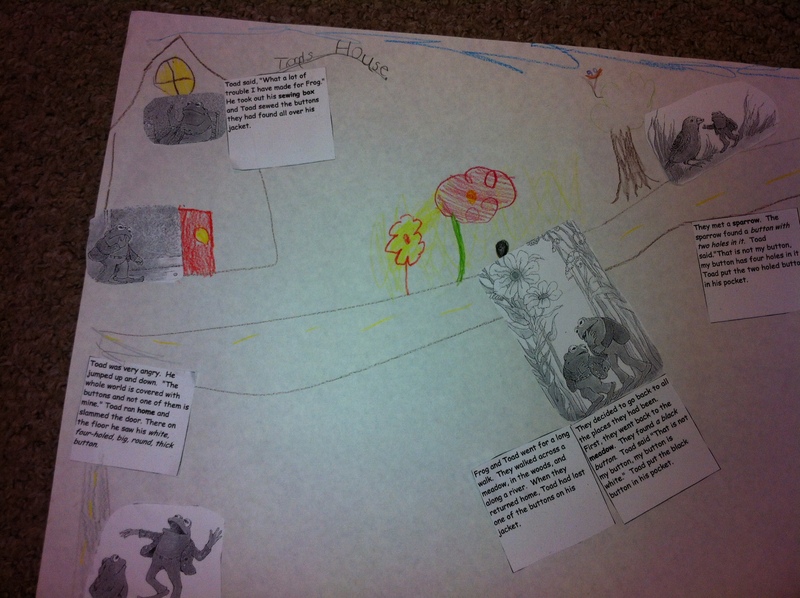 We made a story map about the The Lost Button story. The children did a great job! Take a look! I love all the detail! 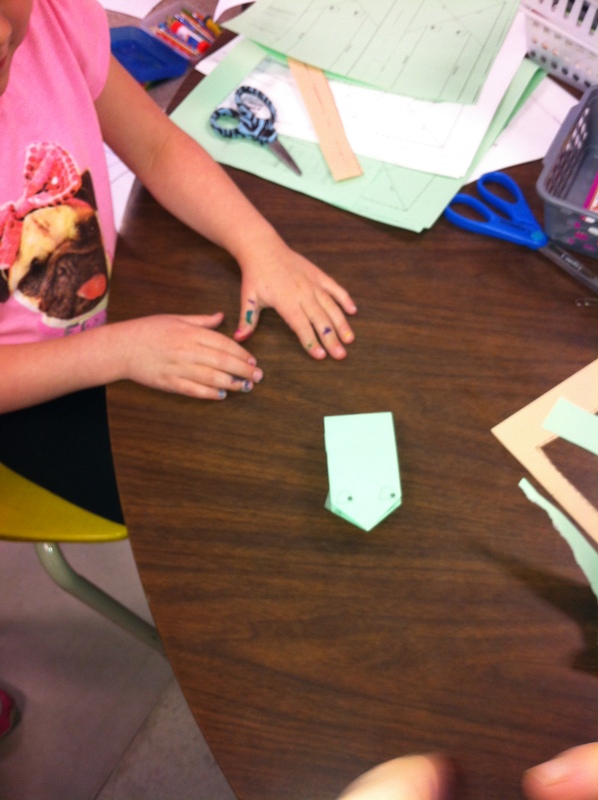 We tried to add the buttons that they found too! 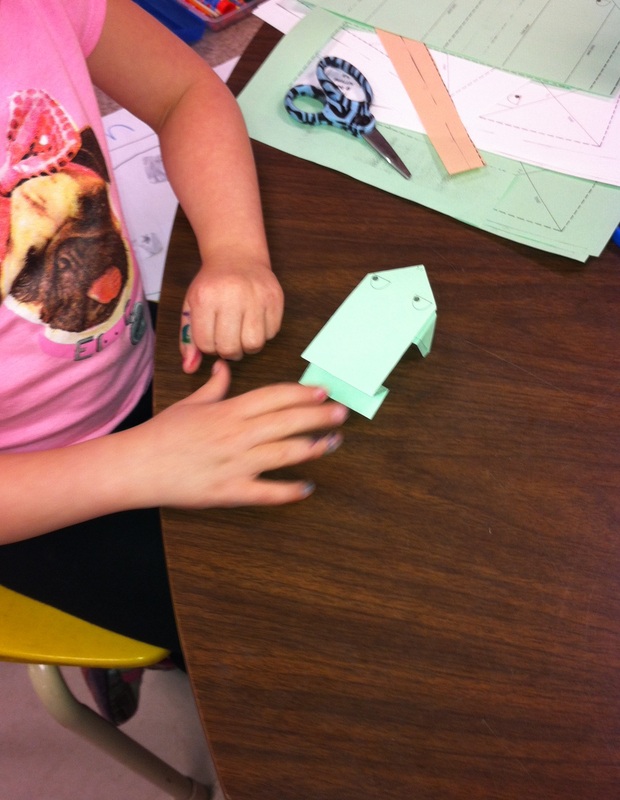 We made origami frogs to “act” out the story map. When you stroke them on their backs, they hop! So then, of course, we had to have a race!